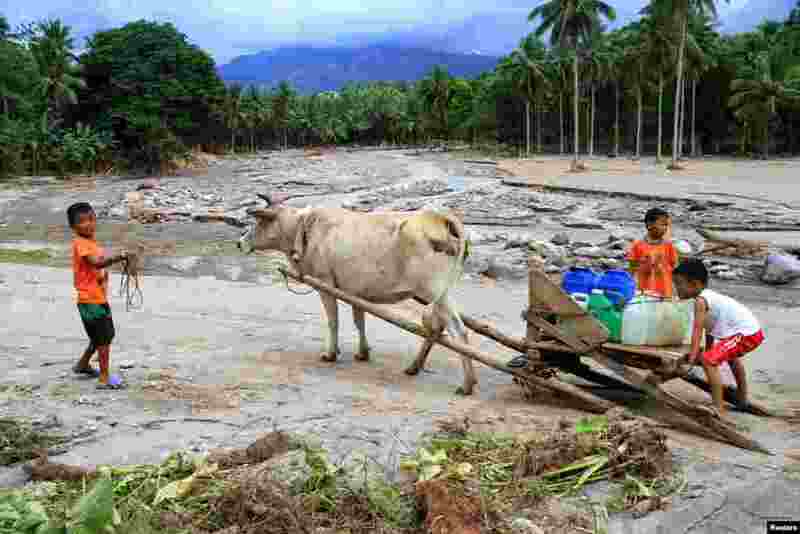 1 Children transport drinking water in a village devastated by flash floods in Pansor, Salvador town, Lanao del Norte, in southern Philippines. 2 Supporters of incumbent Vladimir Putin vote to officially nominate him for presidency in Moscow, Russia. 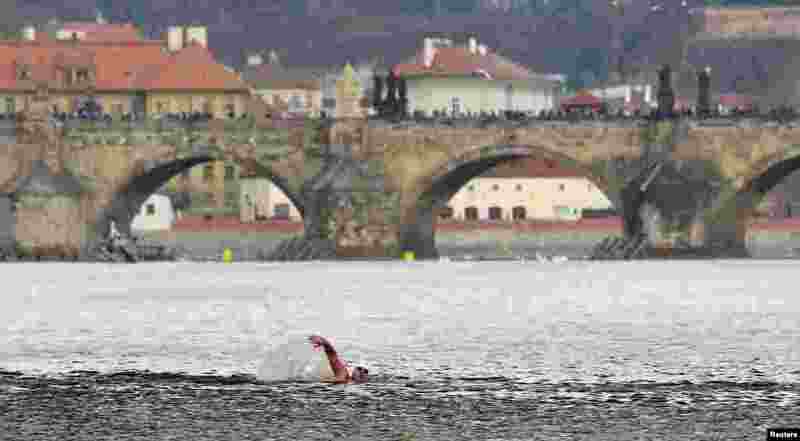 3 A swimmer participates in the annual Christmas winter swimming competition in the Vltava river in Prague, Czech Republic. 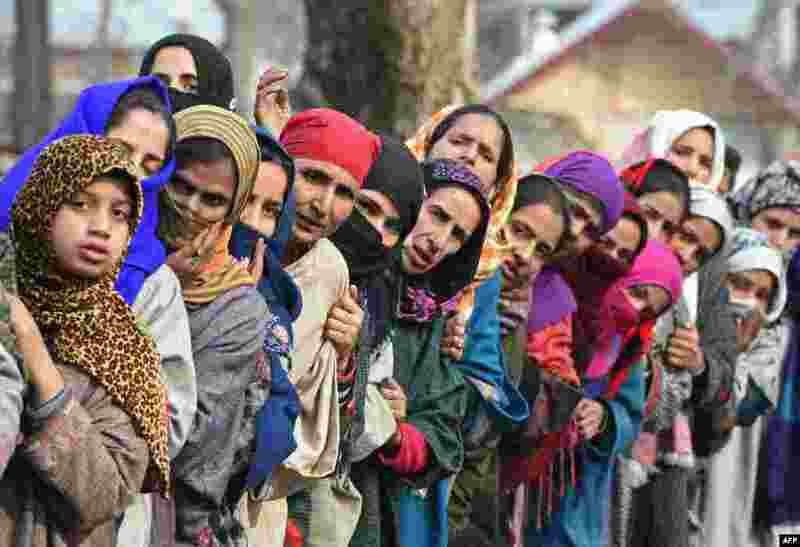 4 Kashmiri villagers look on during the funeral of militant commander Noor Mohammad Tantray in the Aripal village of Tral district, India.